After a Strategic Plan and Program Study completed in 2013, The Salvation Army Harrisburg has embarked on a new path to better serve our community. The program study identified areas of excellence, particularly in our services for youth, and also identified significant challenges in meeting community needs. Those challenges include our facility (located at 1122 Green Street) no longer meeting the current and emerging needs of our clients and the majority of the clients we serve are no longer located in the neighborhood where we are located. In the last five years, the number of people served has increase by 44%. The recommendation of the Program Study was to seek a new or renovated facility with space of approximately 50,000 square feet for education programs, social services (feeding programs, self-sufficiency and training), worship, educational classrooms and outdoor space sufficient for exercise and sports programs for youth. 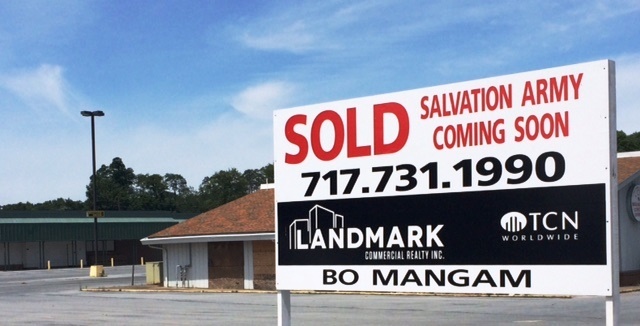 Given the changing demographics and an opportunity to serve those with the greatest needs, The Salvation Army Harrisburg has purchased the two existing structures at 29th Street and Rudy Road (site of a former Weis Markets). The 5-acre site has both usable/renovatable buildings and open space (for athletic programs), is located in a neighborhood near clients in need of Salvation Army services, is accessible via a central bus route and is in close proximity to several local schools. We do not take lightly the move from our current facility, which has been our home since 1954. However, immediate needs and responsible planning require us to plan strategically to fulfill our mission of serving "the least, the last and the lost," while meeting needs of body, mind and spirit. CLICK HERE for the latest update on the Capital Campaign. For more information or to find out how you can help to transform lives in the Harrisburg area, please contact Kathy Anderson-Martin, Director of Resource Development, at 717-233-6755 or kathy.anderson-martin@ use.salvationarmy.org.